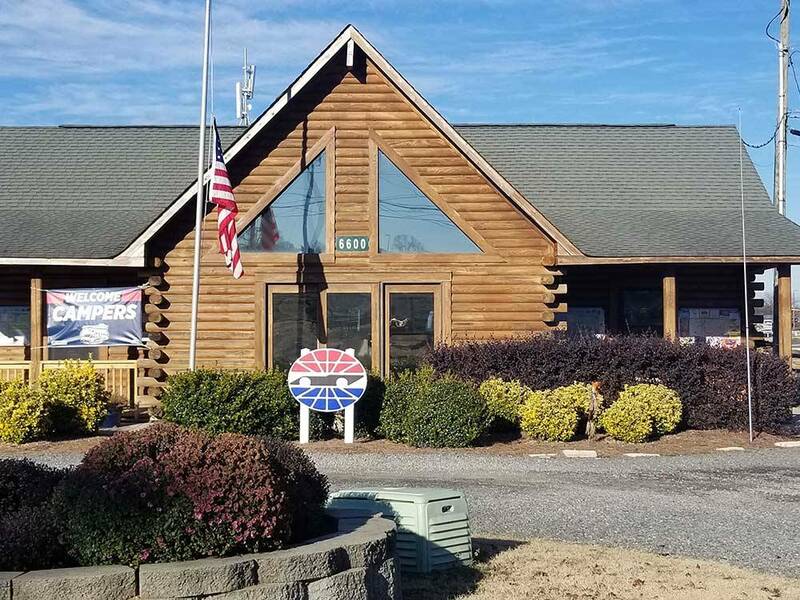 This full service RV camping area is available for each event held at Charlotte Motor Speedway. zMax Dragway & The Dirt Track are also available for daily camping on non-event days. If you love racing than this place is perfect for you. You are just outside the track. You need to turn in at the dragstrip for the entrance. Only would stay here again if attending a race otherwise I would find somewhere else with some shade as there isnt any here. No cable TV and not much by antenna. 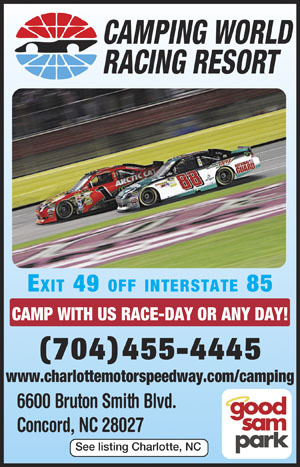 Most of the race shops are in Mooresville so if you want to visit them you may want to camp closer to the race shops. They were cool for sure. Nice campground with nice sites. We had a back in that was plenty big enough for our 35ft TT with slide. Staff great and friendly. Great location for speedway and other attractions. Plenty to see and do. We will go there again. Very reasonably priced. Easy to get to. Stayed there for 4 days. From Jct of I-77 & I-85, N 11 mi on I-85 to Bruton Smith Blvd (Exit 49), E 1.4 mi (L) Note: Entrance at zMax Dragway sign at Charlotte Motor Speedway.